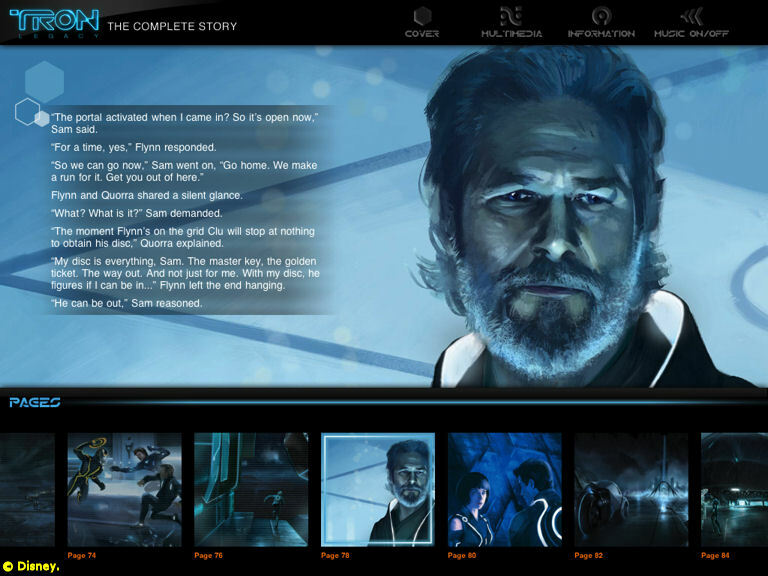 Disney Worldwide Publishing just released its newest digital book for the iPad, Tron: Legacy, The Complete Story. It's an attractive retelling of the back-to-the-Grid story with 150 pages of illustrations and over 35 stills from the movie. 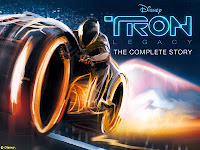 It also includes two tracks from the Tron: Legacy soundtrack. The most interesting feature of the app, however, is Disney's motion comics version of the story that's a comic book come-to-life with animation, narration and audio from the movie. 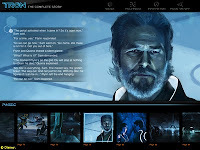 The first episode of the motion comic is included with the app. Additional episodes will be available as free upgrades in the coming weeks. As good as the stories and images are, though, the interface is a bit buggy. Launching a slideshow of the movie stills at times requires repeated screen taps. Likewise for the motion comic. I also experienced multiple crashes, especially when exiting back to the multimedia menu. A quick review of other Disney digital books in the App Store revealed this is not an uncommon occurrence. Until Disney fixes the bugs, Tron Legacy: The Complete Story is not much of a deal at $8.99. It looks terrific, but appearance and functionality should never be a trade off.